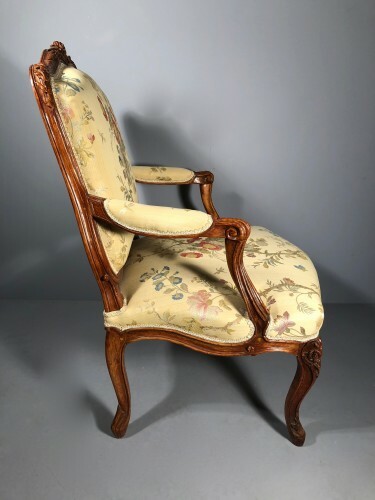 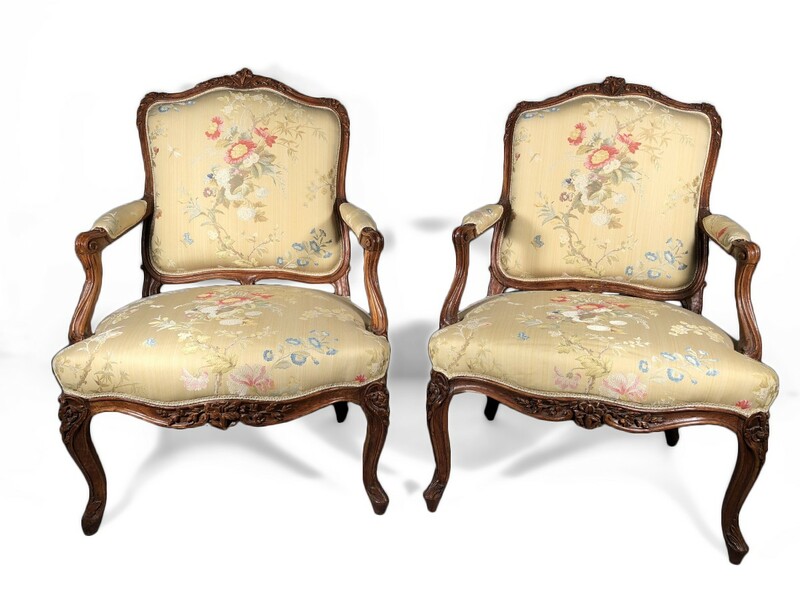 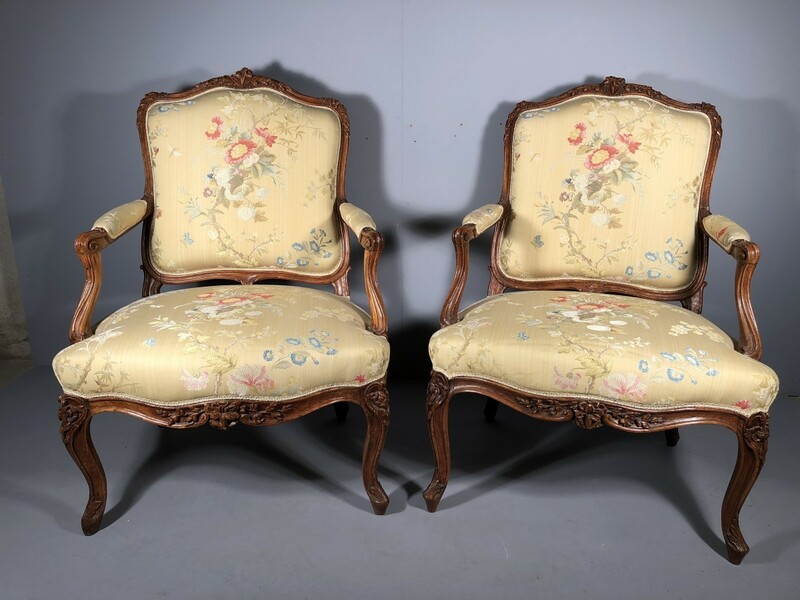 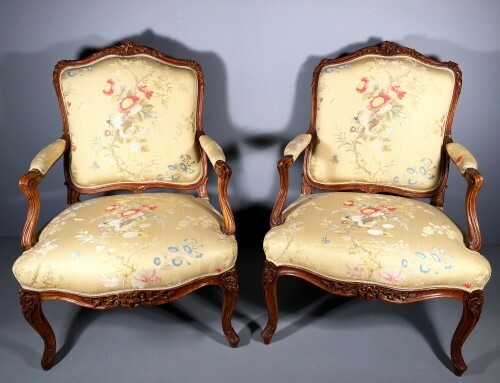 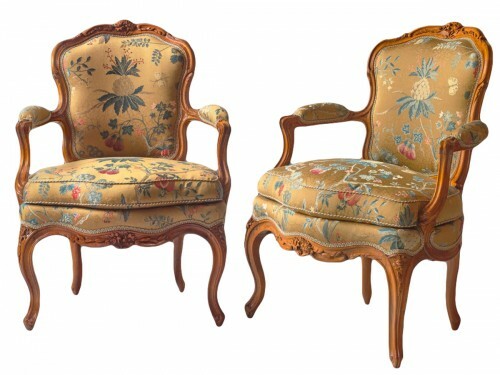 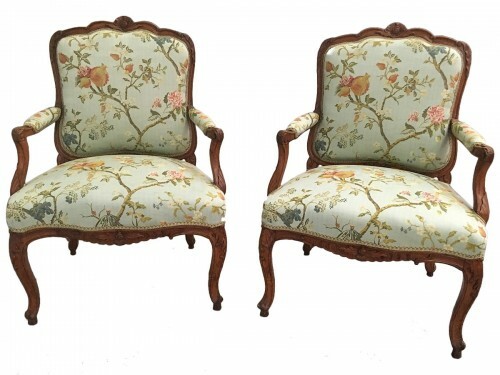 Pair of fauteuils said "à la reine" (flat-back armchairs), in solid beech wood model finely carved. 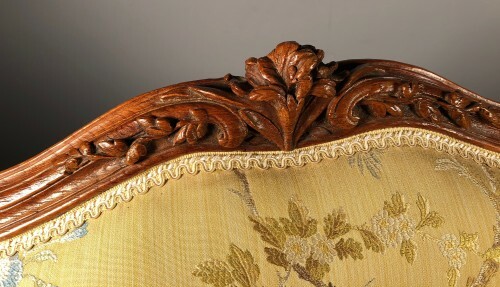 The high crosses decreed in the mass of little florets in falls on the shoulders and on the summit. 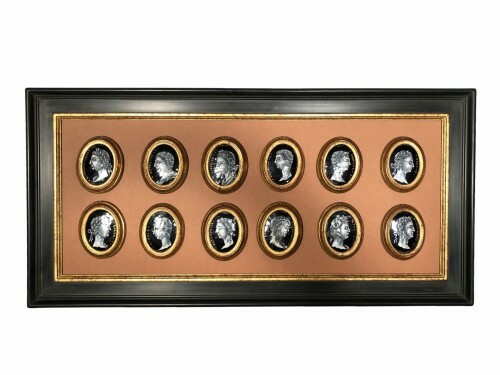 The low cross decorated with the same flowers. 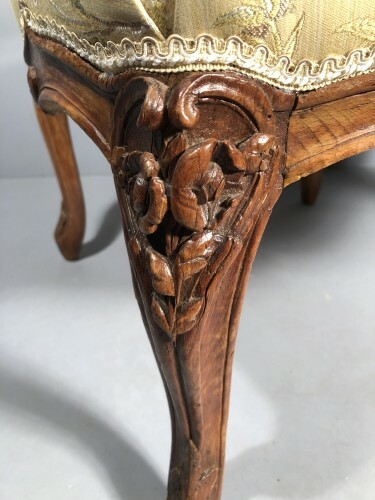 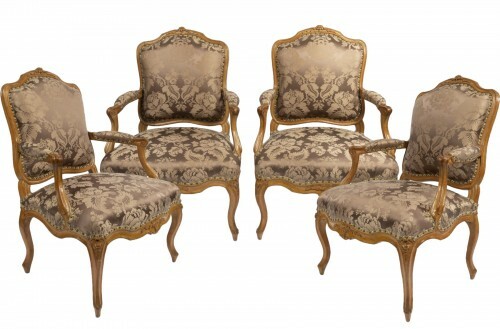 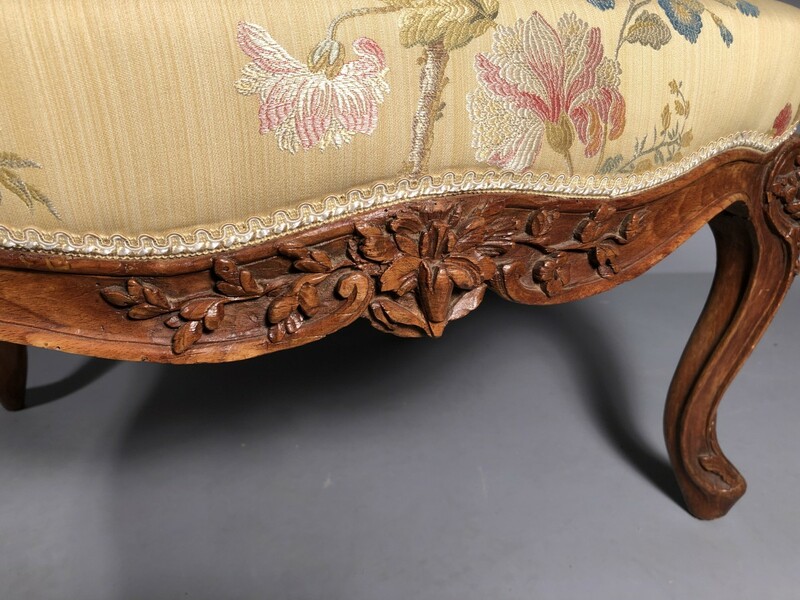 Armrests in volutes, arched base carved roses in round bump finished with acanthus leaves. 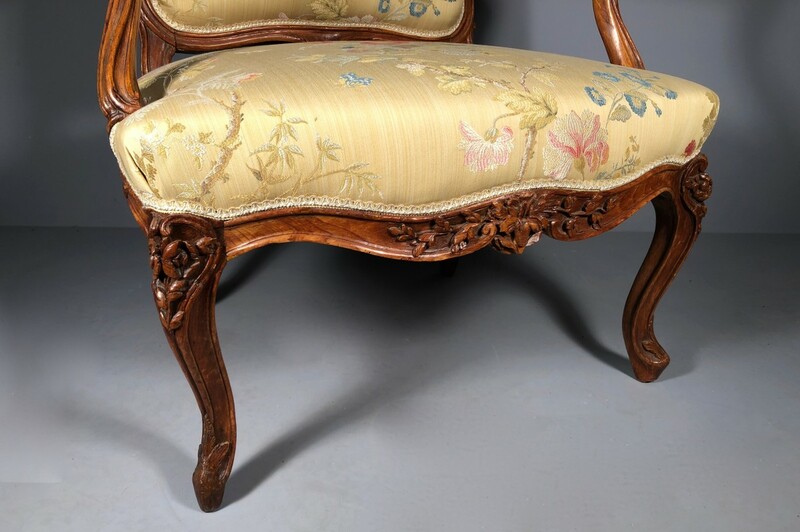 Parisian work of Louis XV period. 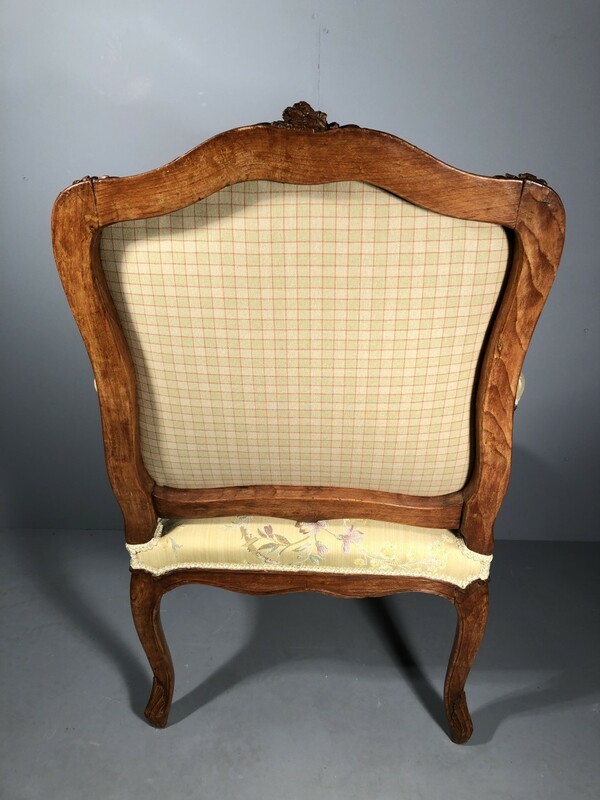 Mathieu Bauve received master carpenter on August 1st, 1754. Excellent carpenter who practices at the sign of the "Holy Spirit" rue de Clery, stronghold of the best carpenters of Paris. 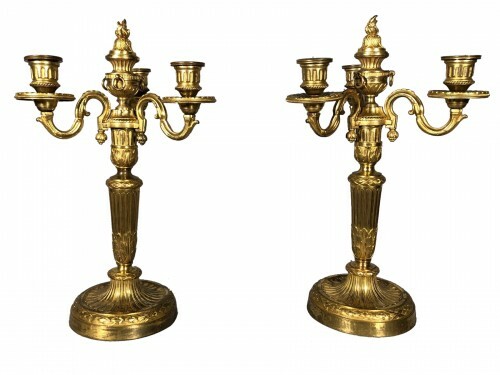 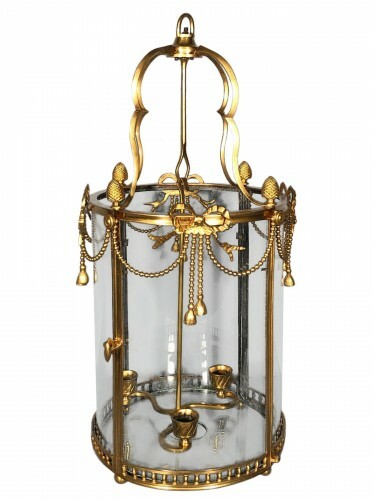 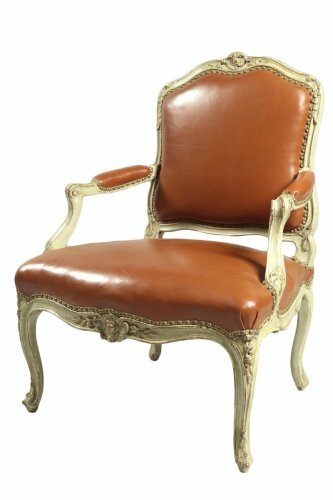 Its production is extremely varied and always of very good quality in the three great styles: Louis XV, transition and Louis XVI. 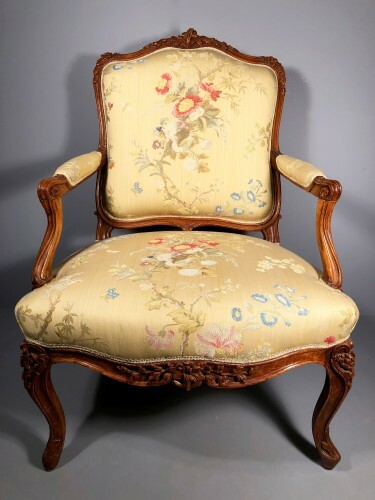 He is particularly talented and works for a rich clientele and for the royal family, notably Queen Marie Antoinette, at the very beginning of the reign of Louis XVI. 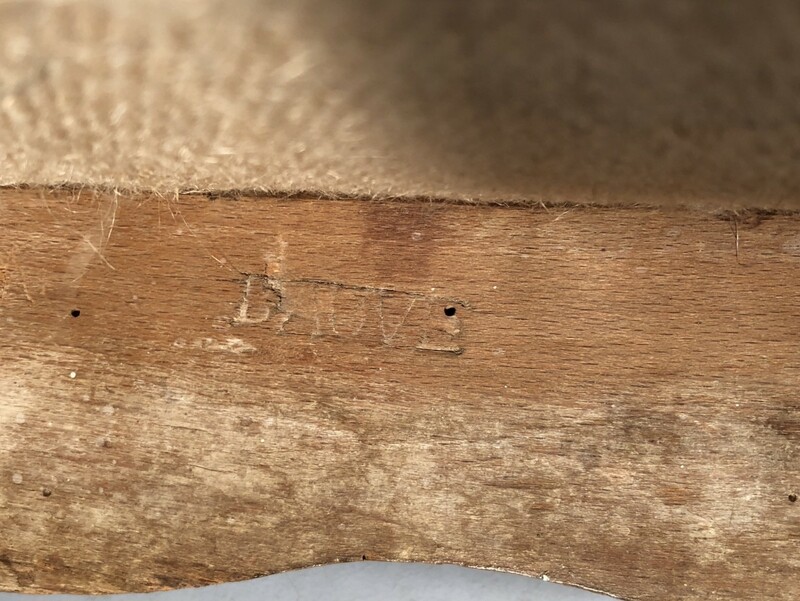 Our seats are part of quite exceptional models made by Mathieu Bauve on order. 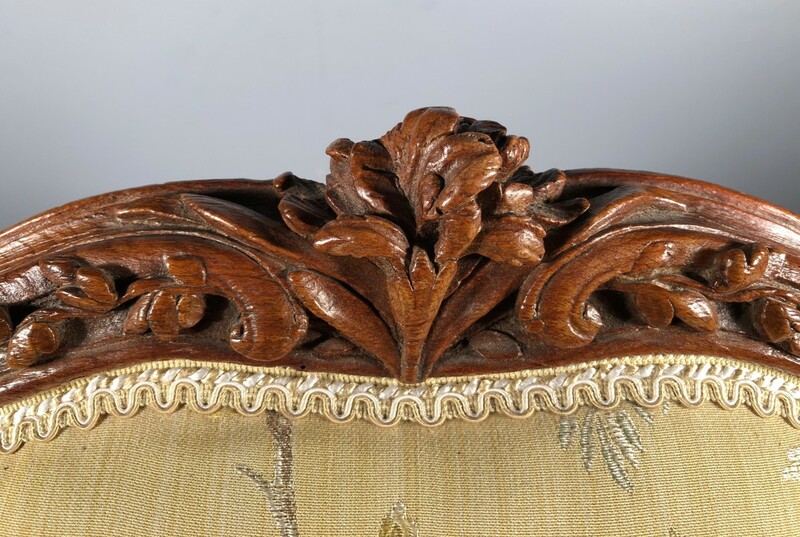 Powerful and generous line they sport a sumptuous carved decoration particularly well disposed. 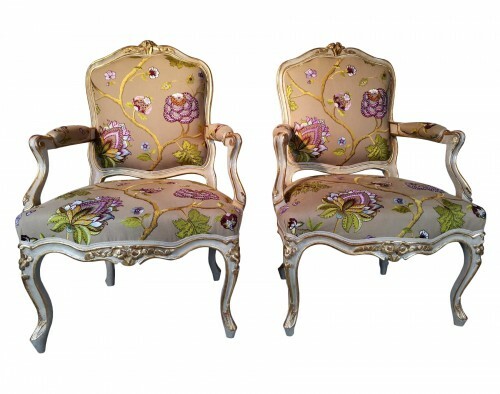 The size of the sections used to obtain a sculpture in the round and the width of the seat give them a more undeniable. To bring closer to the sculpture of the shepherdess (former collection Perrin Gallery) presented page 47 of the book "French furniture of the 18th century P.Kjellberg.